We pride ourselves on providing superior service but you don’t just have to take our word for it. Read what our clients have to say about us in the testimonials below. During the heat wave, our old AC broke down. We called Lancaster and installed a new Carrier unit. Nice neat work, the men were prompt and efficient. We did have a small problem later but when we called they came out within 2 hours to fix us back up. 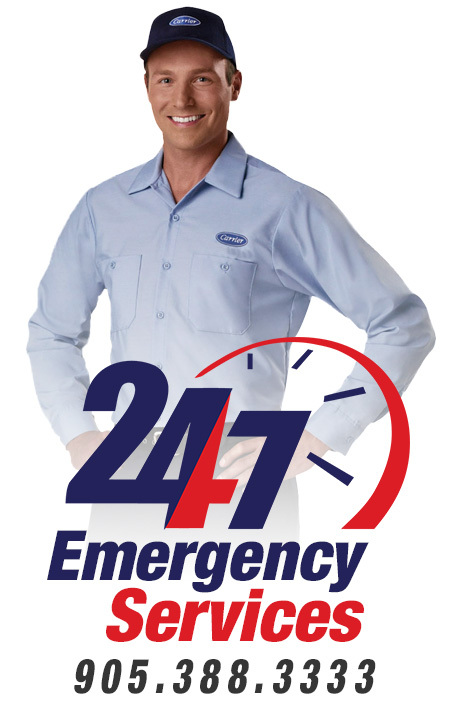 Lancaster is one company that you will want to remember when you are in need of a new furnace and air conditioning. We had Richard come over to set up the job requirements. Everything was explained and even the little extras that I wanted done on top of the job such as ductwork were no problem at all. Jonas and Mike arrived and installed the furnace and air along with the ductwork. This was a two day job. At the end of the first day, everything was tidied up and the same after the job was complete. I was very pleased with the quality of workmanship and attention to detail that the installers displayed. And even when I had a question it was explained fully. A real pleasure to have Jonas and Mike install the system. 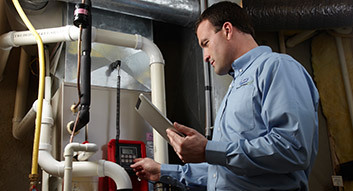 Lancaster is a top notch company to consider when deciding on a heating and cooling system. They are very punctual, clean professionals who set the standard in Pride of Workmanship. Had the same guys back to do our air conditioning. They tried to use whatever they could save of our existing set up (less waste, less cost), but did a great install and we had a summer of well controlled temperature. Coldest April on record, I’m in labour, literally, and they came and provided a professional and quick quote, and then installed a great furnace in one day (just before the baby came!). They were great to work with. Richard was good. The guys were clean and respectful and tried their best to be quiet. They did a great job, too. Everything is great! I want to thank you, your installers and Lancaster for the professionalism and speed at which this job was undertaken and completed. It is much appreciated to all involved, thanks again. Just to let you know that we are very happy and satisfied with the job you did for us. Your guys were wonderful. The work is neat and tidy and they cleaned up after themselves, something not many contractors do! They explained humidity ranges to us and the effect of the cold weather, something we didn’t know, so all is well. Looking forward to working with you on the next project. You guys are the best contractor we had work on our home, and feel free to give our name as a reference as often as you like. I wanted to inform you of the EXCELLENT work done by Mike (and his helpers) in installing a new Furnace and air conditioner. Mike was friendly, helpful, knowledgeable and efficient and went out of his way to provide us with EXCELLENT service and hopefully an excellent product. Thank you and your guys did a great job. We have a great selection of gas furnaces that are guaranteed to keep your home warmer, your bills lower, and those harsh winter months a little more enjoyable. By working closely with the leaders in home comfort, Trane and Carrier, Lancaster Heating & Cooling offers the best quality high-efficient air-conditioning products. 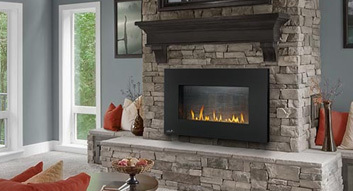 We carry a wide range of fireplaces from several major brands that can increase your home’s appeal and transform a cold living space into a cozy sanctuary. "We moved to a new home which required a new high efficiency furnace and tankless water heater. Originally we were had already decided on a company for the job, but when we sought a second quote and op..."
We are fully committed to customer satisfaction and always back up the products we sell, install and service. What can we do more to convince you? Lancaster Heating and Cooling is a part of the Lancaster Group Inc.
To keep up to date with the latest product news, promotions and sales please subscribe to our newsletter. Copyright © 2016 Lancaster Heating & Cooling. All Rights Reserved.